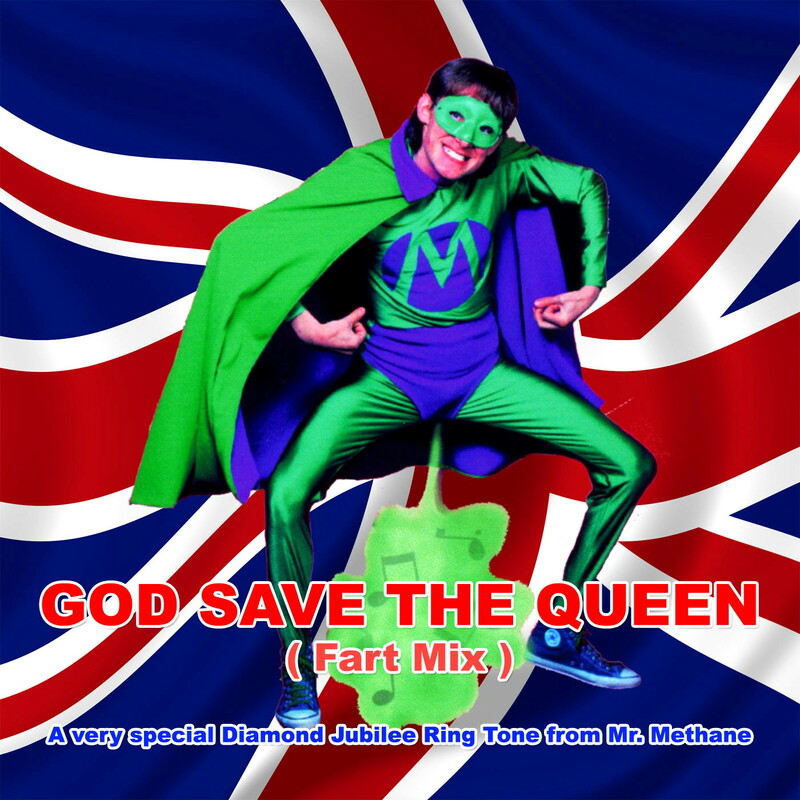 The saga of my chum Mr Methane – the world’s only professionally performing flatulist – outraging the Romanian nation by seeming to fart the Romanian national anthem on TV show Britain’s Got Talent – which I blogged about here two days ago – continues apace. TalkbackThames, the producers and copyright holders of Britain’s Got Talent have confirmed that Antena3, the Romanian TV station which broadcast the doctored clip, did not have rights to the clip and Mr Methane has lodged an official complaint with the First Secretary at the Romanian Embassy in London. I wish to register a complaint about one of your broadcasters Antena3 and, in particular, a Current Affairs programme called Stirea Zilei (News of the Day) hosted by Gabriela Vranceanu Firea. On Thursday 6th October 2011, presenter Gabriela Vranceanu Firea was hosting a serious political debate which included former Romanian Prime Minister Adrian Nastase. In this debate they used footage of my Britain’s Got Talent appearance but overdubbed the Blue Danube tune with the Romanian National Anthem: it appeared to viewers that I was farting to your national anthem. This upset Romanian citizens who wrote to me and left messages at YouTube before realising it was a fake. I have checked with TalkbackThames, the production company that makes and owns Britain’s Got Talent and they say they did not license this footage to be used by Antena3. I object to what Antena3 and Stirea Zilei did because I was used to make a political statement when in fact I do not know the political situation in Romania. The fake transmission enraged Romanian citizens and caused them see me as an object of hate when in fact I had not done anything and I was not involved in anyway. I would like to think that the Romanian Government has some regulation of its media and that it can register my complaint and correct the injustice by getting the show to transmit a full blown apology for inciting hatred against me by using copyrighted footage without permission and altering it thereby creating a fake impression to viewers that was totally false. You can see more information including footage of the show here. How apt. How very apt. The only regulator for the audio visual sector in Romania is the National Audiovisual Council of Romania known as CNA. I hope this information will be useful, should you require any further assistance please do not hesitate to contact us. For what is worth, I can assure you that the Romanian Ministry for Foreign Affairs already sent a complaint in this case. I can but surmise the reason that the Romanian Ministry for Foreign Affairs has “already sent a complaint in this case” is that, I am told, the TV station in question – Antena3 – supports the opposition party in Romania and that they want to cause embarrassment and aggro to the station. According to My Man in Bucharest (yes, I have one) one of the participants on the TV discussion show – “a quite well-known journalist and political commentator in Romania” – suggested after the Britain’s Got Talent clip was screened that, among other things, the Romanian government should sue the British show’s producers or Mr Methane himself for defaming Romania. Now, perhaps, the Romanian government has the TV station in its sights. with the relevant clip 16 minutes 25 seconds into the show. which, one suspects, is where the TV station half-inched it from. In the meantime, Mr Methane has complained to the National Audiovisual Council of Romania. Watch this space. Mr Methane is not farting around in this case. My chum Mr Methane, the world’s only professionally performing farteur, caused a bit of a stink when he appeared on Britain’s Got Talent in 2009 and now he has innocently caused national outrage in Romania. Last Thursday, viewers were happily watching the current affairs programme Stirea Zilei (News of the Day) on Antena3 TV. Presenter Gabriela Vranceanu Firea was hosting a serious political debate which included former Romanian Prime Minister Adrian Nastase who, not surprisingly was critical of the current ruling politicians. Angry Romanians enraged that Mr Methane had insulted their nation complained to the TV station, complained to YouTube and contacted Mr Methane direct by e-mail demanding an apology before realising that they had, in fact, been duped. The TV channel had over-dubbed the sound of a farted Romanian national anthem. Quite whom they employed to do this complicated task remains a mystery; one suspects a clever videotape editor with a lot of time on his hands. I have to agree (I think). “I suspect that the Romanian TV channel may have just gone ahead and used it without their and ITV’s permission. Either way, it’s pain in the arse. I think I deserve an apology from one of them or maybe both. If they want to insult the Romanian national anthem and seek a confrontation with outraged Romanian citizens everywhere, they should take responsibility for their own farting around and not try to pass it off as mine“.